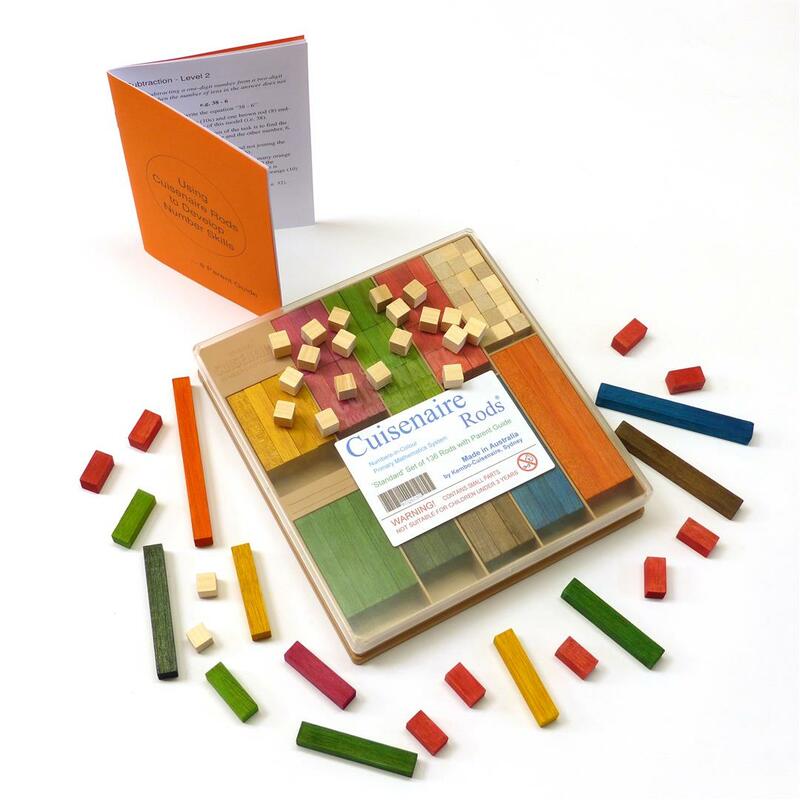 A regular pack of Cuisenaire Rods, plus - of course! - our special Parent Guide. This set contains 136 rods and is ideal for one child. It comes in a tough plastic box with compartments for each colour.